We're bidding a sad farewell and wishing Susan Snodgrass much success as she moves on to host her own blog SIMPLY SUSAN! 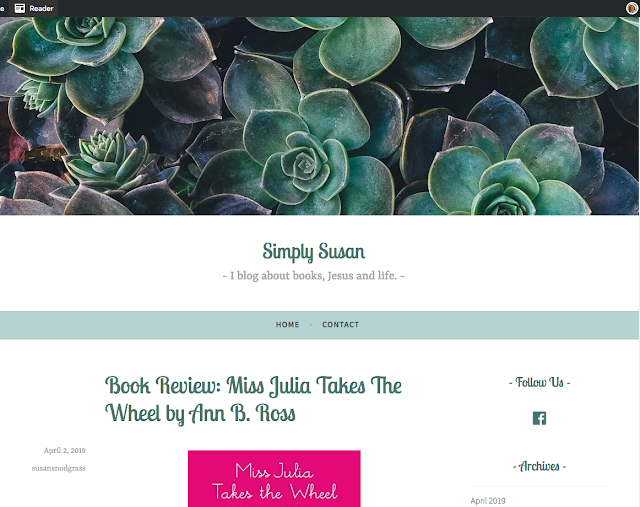 This prolific reviewer will now be able to post ALL her reviews, as well as host authors and share her photography and faith. "I started reviewing books mainly because I wanted others to see what great books I read. It just seemed natural to me to do that since I love reading so much. I talked about the book already to anyone who would listen. I thought about blogging for a long time before I started my own. Then I put the thought aside and made it a matter of much prayer. I knew that I wanted to review books there, but I also wanted to share spiritual insights. I love Jesus and I wanted Him to be part of this journey. So I took off with it and I hope it might be a blessing to someone in some way." So, do what I did and go visit Susan and sign up to receive her posts! Don't forget that you can search our posts by specific terms or names. Check out the many reviews Susan did with us over the last year! And help us wish her much success! 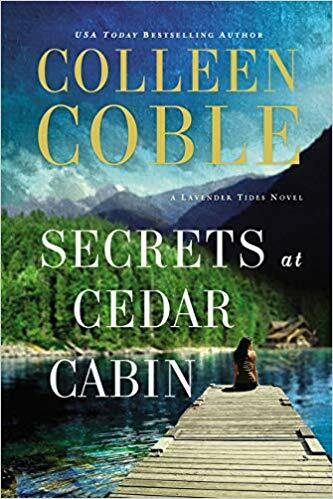 TO CELEBRATE, Susan is giving away a paperback of SECRETS OF CEDAR COVE by Colleen Coble. It was wonderful to have you (and your awesome reviews) but I'm thrilled that you now have a full time place to share ALL your reviews! Blessings on your new venture! I enjoyed getting to know you better and that friendship remains! Have fun, Susan! It was so fun to be with Inkwell Inspirations! Thank you for getting me started. What a blessing you are! Good luck, Susan! You are a reader extraordinaire! I already commented on you blog Susan, but I wanted to parallel everyone here in saying I'll miss you! I look forward to your posts on your site and of course, keep up with you on FB and the review teams we share. Congrats! So happy for you. Thanks for this offer. I love reading too! 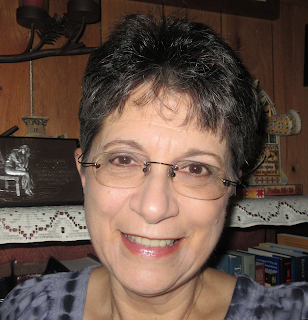 So glad to have you here, Susan, and while I'll miss you here, I am excited for your new blog! Congratulations! Sending love and hugs.